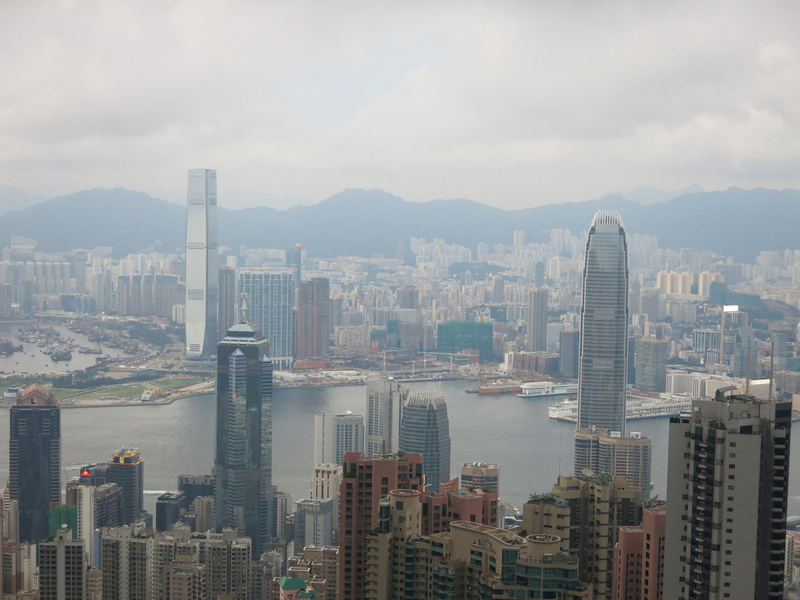 Hong Kong has the best city skyline and there are various vantage points to take in the view. A necessary tourist trap? I'm not sure if this place is worth the hassle and it's very, very touristy. How touristy? There's a Bubba Gump Shrimp at the top. 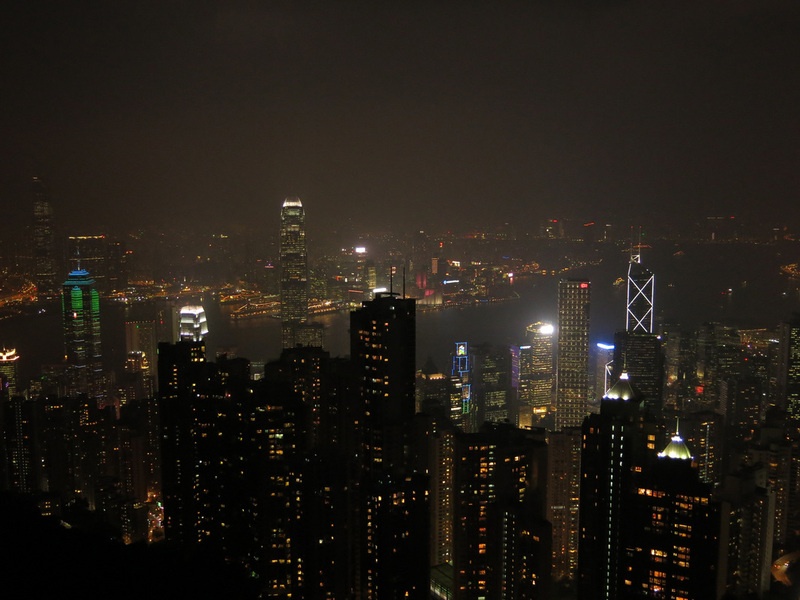 It's a long wait up and sometimes back down...but the view is pretty amazing...but there's other places that show off the skyline in a hassle free experience. 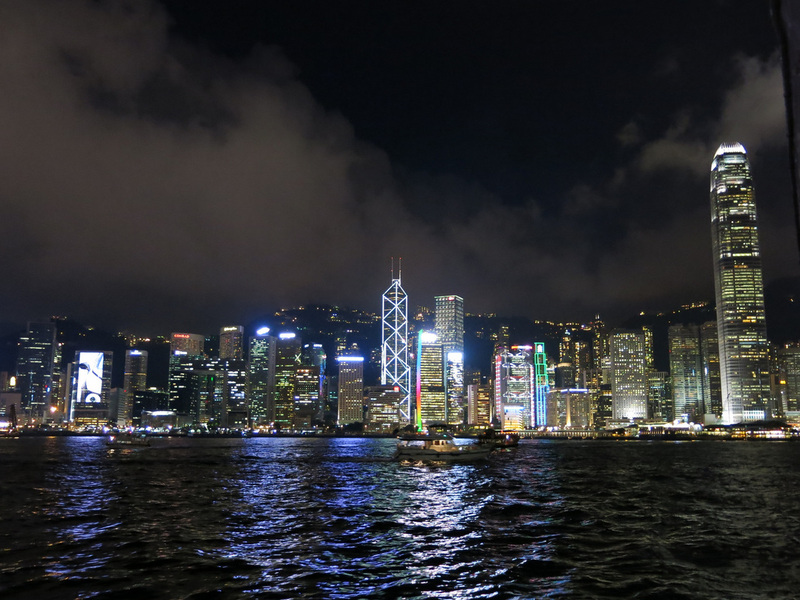 For me this, not The Peak, is the iconic image of the Hong Kong Skyline. 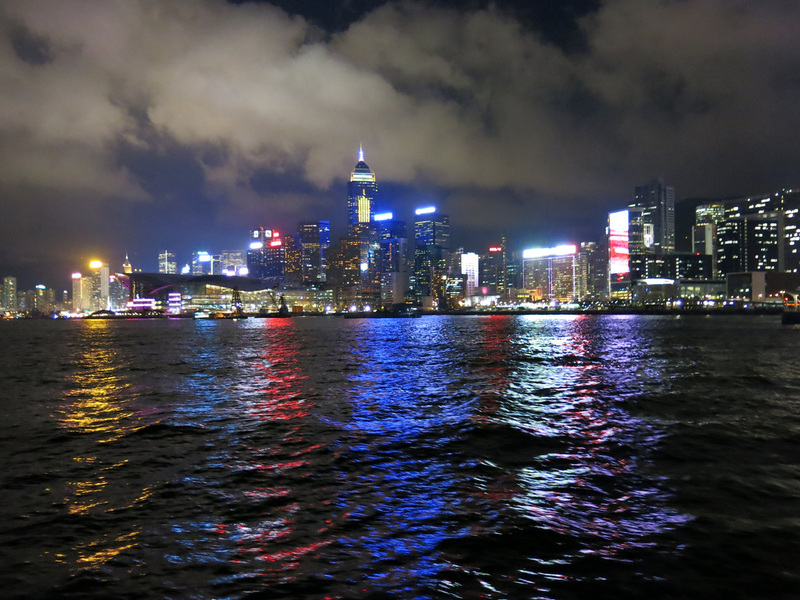 Having Victoria Harbor in the foreground and boats passing by helps to accentuate the impressively lit skyscrapers. The rooftop lounge is on the 32nd floor, one floor above the steakhouse. 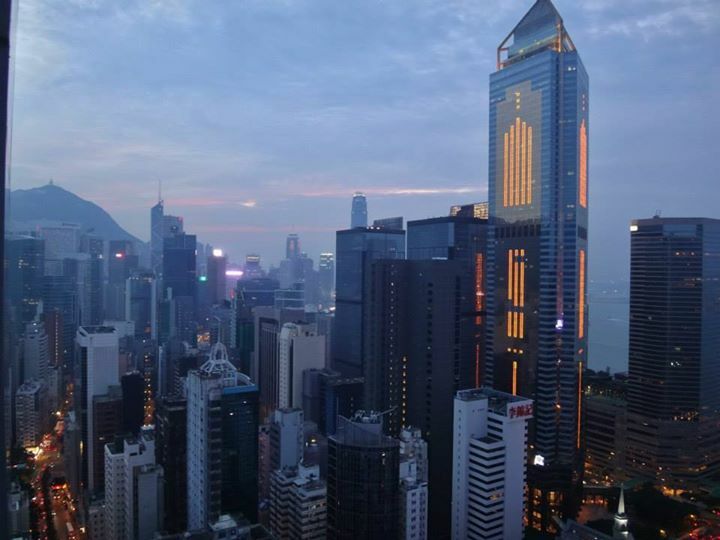 The views of Causeway Bay, Happy Valley, and Wan Chai are impressive but the lounge doesn't open until six and only serves alcohol...no coffee or cappuccinos. A pint of beer costs 80HKD. There's a bar with open air seating and a restaurant on the top two floors. It has a two-for-one happy hour special from 5 (?) until 9pm - a single, 0.5L beer costs 90HKD. 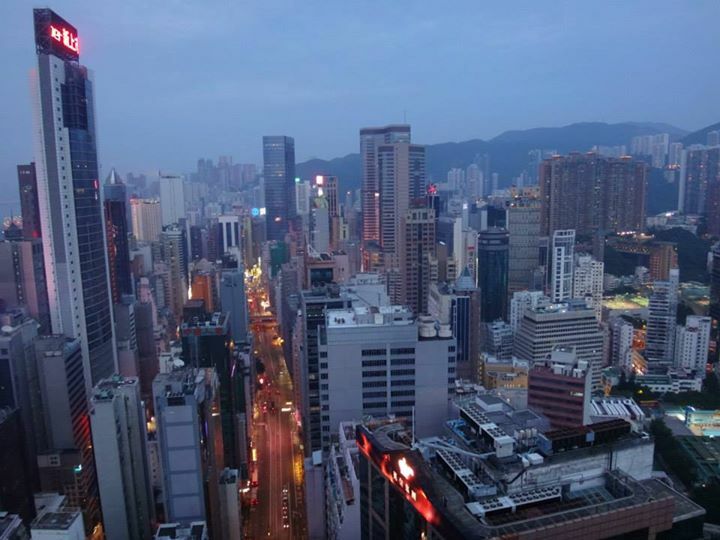 The Wan Chai and Causeway Bay views are partially obstructed by Times Square and surrounding towers but there is a clear shot of Happy Valley and the racecourse below. It'd be an interesting spot to watch the horses races.